ZBD Solutions has developed a special low-power, black and white LCD display that holds an image even when no power is applied. 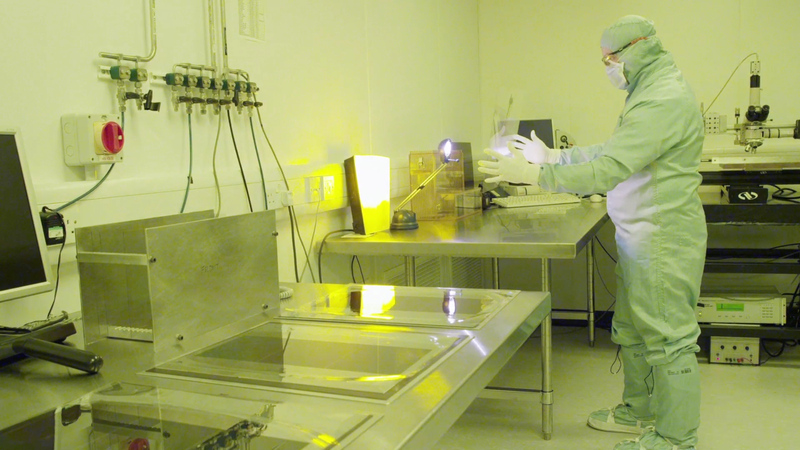 By applying a sub-micron texture onto the glass surface of a liquid crystal display, the e-paper displays can be manufactured at low cost on a conventional production line. 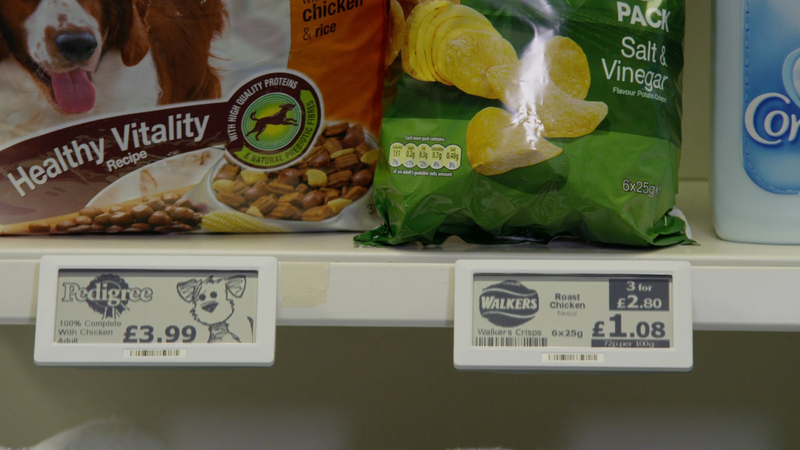 The tiny signs are also all wirelessly networked together, so when an items change price hundreds of e-paper displays can be updated in real-time from a central database. ZBD Solutions is the winner of a 2012 Innovation Award from the Institute of Physics celebrating companies that make the most of applying physics in a commercial environment. This film has been featured on Gizmodo and PSFK. Dr Cliff Jones: We are ZBD Displays Ltd. We’re a novel displays company selling mainly into the retail sector things like electronic shelf edge labels. 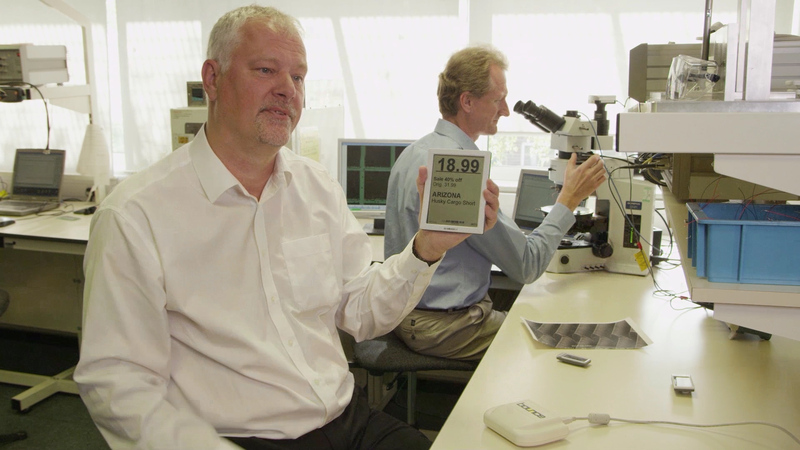 Shaun Gray: We recognised that it didn’t take very much additional work to turn just the LCD glass into a functioning display with all the suitable electronics. If you could combine it with good networking then you could create a differentiated solution. 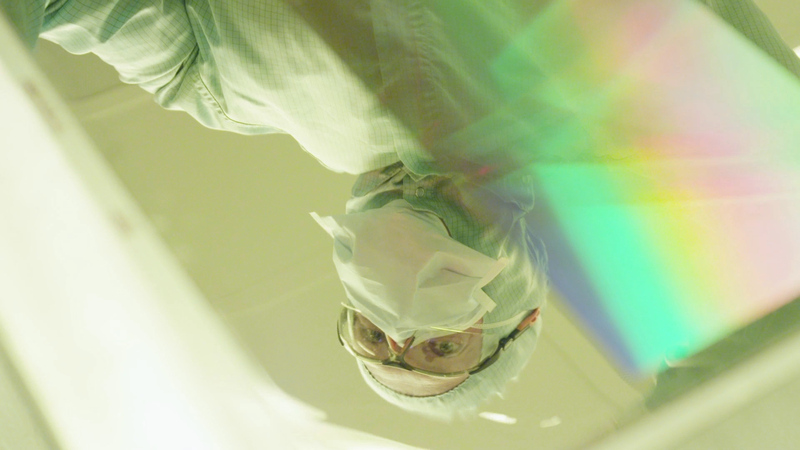 Dr Cliff Jones: A conventional LCD is constructed from two glass plates containing a liquid crystal. Liquid crystal is an organic material made of long, thin molecules that can re-orientate under the application of an electric field. This means that if a display is made to appear white, applying a field across it gets it to switch to black. If the power is removed, all of the pixels will relax back within a fraction of a second, back to the white state. The key invention of the ZBD device is to put a sub-micron texture onto the surface of the glass. What this does is hold the liquid crystal in either the black or the white states, thereby keeping the image on the display even when the power is removed. 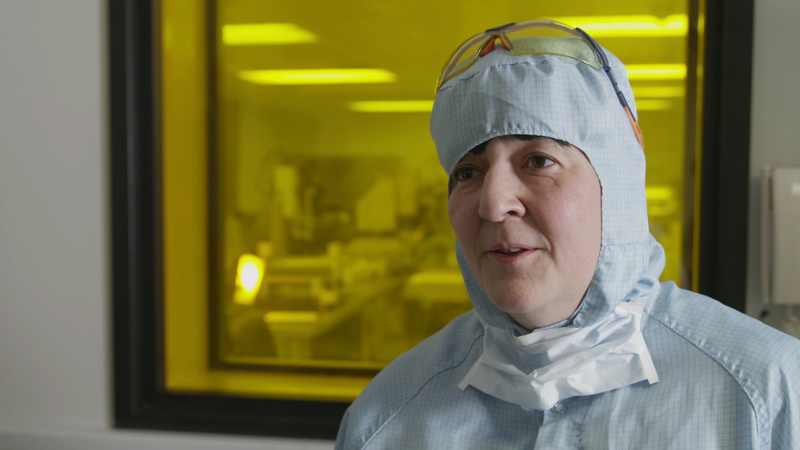 Dr Emma Wood: We define the master grating by photolithography using a mask. We then take the master and we transfer it into a nickel electro-form using standard DVD/CD-type technology that is scaled up for us. We have very small features defined on our master grating surface – just 400 nanometres wide, 1.1 microns high – and we have to control those, control the uniformity of those, – across the whole grating area. Dr Cliff Jones: My co-inventor, Guy Bryan-Brown, and I were working on different ways of improving standard LCDs. We wanted to make them have more image content, to be low power, to be flexible. ZBD is one of the key inventions from that period. Dr Emma Wood: When the nickel is continuously cast we end up with a film product which copies the structure many, many times and so for every nickel part we get many, many thousands of film examples. These film examples go to the LCD manufacturer, who uses them to define the grating on the LCD substrate. Dr Cliff Jones: So ZBD today is not just about the display technology. We now provide a complete system for the retailer to use. Each display unit can be wirelessly updated using a two-way RF transceiver device called ‘Bounce’. Shaun Gray: The reason that we chose the retail marketplace as the point of entry was it was the one area where there was a first generation market to which we clearly showed an improvement, not only in the quality of the display but also the quality of the overall solution, including the RF. Dr Emma Wood: Every time I see a box of displays arrive, I think back to the very first displays that we made that attracted the seed capital that allowed us to start the company and there is an element of disbelief when I look at those boxes and I realise how many we’ve made now. It’s an amazing feeling. ZBD Displays, Malvern, UK. September 2012.